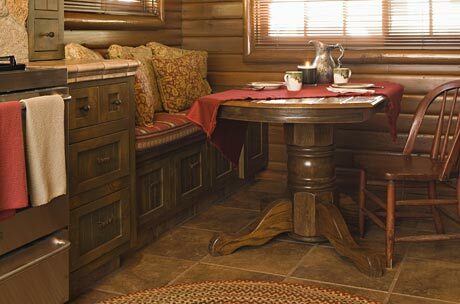 Sugar Pine Cabin has been exquisitely designed inside and out to provide all the comforts you come to expect in luxury camping. The interior’s eco-friendly, green construction utilizes timber milled from the property, and state-of-the-art, energy-efficient technology. With a beautiful wood-burning stone fireplace and well equipped kitchen. 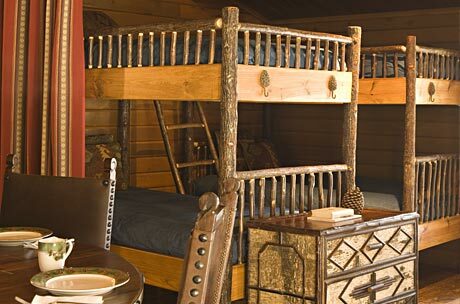 Sugar Pine Cabin sleeps nine in one large, open great room (seven single bunk-beds and one double bed). The comfortable patio creates an outdoor living area, with gas barbeque, fireplace, gazebo and comfortable seating, all with a beautiful view of the lake! 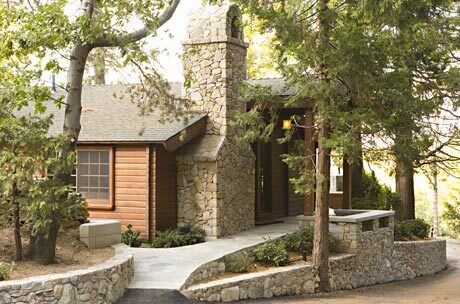 This warm, inviting, gorgeous lodge is meticulously maintained by its owners. It provides an embracing venue for family or business gatherings. 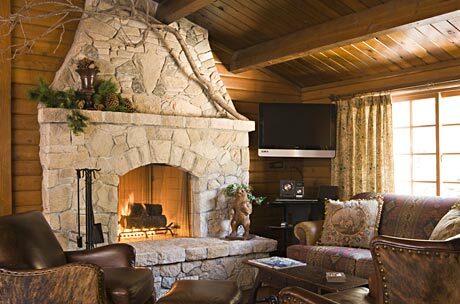 Located in the fresh forest near beautiful Lake Arrowhead just 90 minutes from downtown Los Angeles, it is a treasured. repeat getaway for those lucky enough to have discovered it. Every visit is a treat. Copyright © 2016 Pine Mountain Camp. All Rights Reserved.